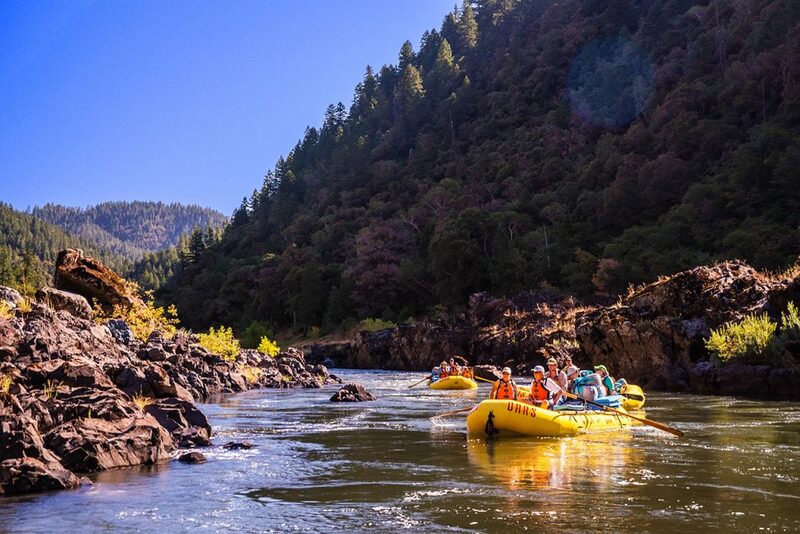 If you are preparing for your first rafting trip, get ready for the time of your life. 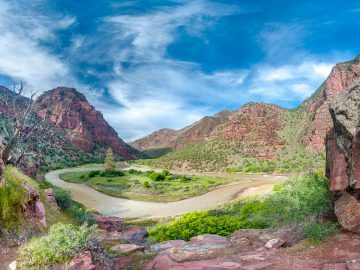 There is literally nothing like floating through canyons, camping out on secluded beaches, and totally disconnecting from the modern world. 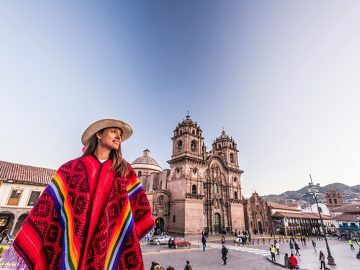 In the meantime though, you probably have a ton of questions about packing and all of the other logistics that make for a fun and successful trip. 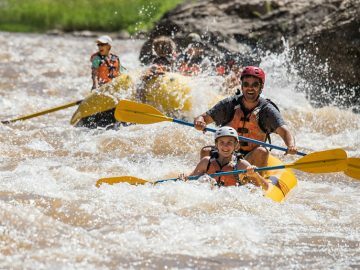 Here I share some of my favorite beginner tips and advice for first-time rafters. Rivers are rated Class I-V. Class I you could float in an inner-tube. Class V? Think giant waterfalls that many of the best guides in the world won’t attempt. Most guided trips fall in the Class II-IV range. When you are picking your trip, consider your personal comfort level. If you love an adrenaline rush, by all means, go for the meat. But if you typically lean on the conservative side, you can have just as much fun on a more mellow river with a few big wave trains. 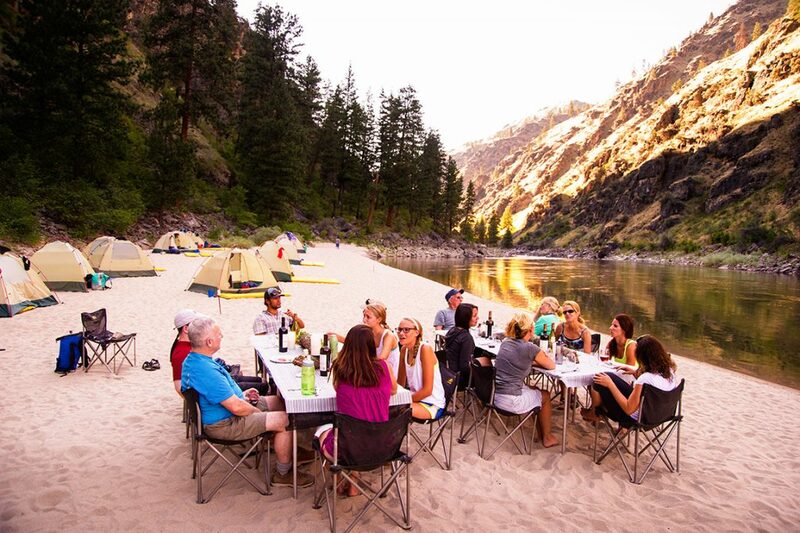 By choosing the right rafting trip, you’ll have a better time and be more likely to come back for seconds. 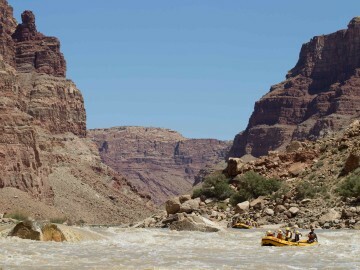 Rafting can be scary whether it’s your first time or you have hundreds of river miles under your belt. But what if you get on the river, and it’s a little more action than you were mentally prepared for? First, you have the responsibility to pay attention to the safety briefing so you know what do in the case someone falls out of the boat. 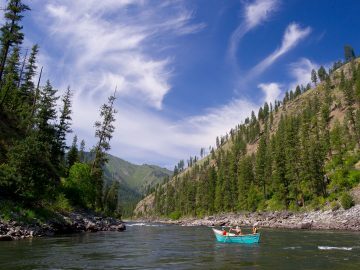 Then as you are entering the rapids, take a deep breath, and keep in mind that your guides are trained and seasoned professionals who know how to read the river. Have confidence in their skills and feel comfortable telling them if you are scared. No really. Pack light. All those extra outfits? You won’t wear them, and all they do is clutter up your dry bag and make it more difficult to find those small items that have fallen to the bottom. So focus on bringing functional and comfortable pieces that you can wear over and over again. Generally, this means synthetic, non-cotton materials that dry fast. Some sort of river shoe (no flip flops allowed) is also essential for protecting your feet both on and off the river. For warm weather trips, you’ll wear your swimsuit, plus something that offers sun protection, like a light rash guard or long sleeve shirt, and for ladies you’ll also want a pair of board shorts. I also have female friends who love rafting in a skirt or an old casual summer dress since it makes it a lot easier if you have to go to the bathroom. You can also easily throw on long johns if it suddenly gets cold. A pair of sunglasses (or two) and a wide-brimmed hat with a strap (for wind) are also a must for protecting your eyes and face from the sun since you’ll be out there all day with no shade. Your guide will have a first aid kit, but don’t forget any personal medications (migraines, allergies, etc. ), toiletries, and more sunscreen than you think you’ll need. 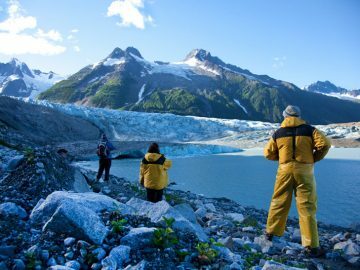 As far as other gear, if you’re on a guided trip, the outfitter should be able to provide all the other goods that you might not have, like a tent, sleeping bag, pad, dry bags, and other creature comforts. You also don’t need to worry about food….if you choose a good rafting company, you’ll never go hungry. That said, if you have a special diet or snack more frequently than the average person, pack a couple of treats. There’s no need for a shower when you have the river. If you are feeling a little stinky, just take a dip and let the river wash away the grime. I’ll note that soap, even the biodegradable brands, is discouraged as the suds can be harmful to fish, plants, and other wildlife. As a good alternative, baby or body wipes are great for cleaning up. Typically I’ll bring one body wipe per day that I use at the end of my morning routine before I get dressed and put sunscreen on. Dry shampoo also does wonders for those of us who get a greasy mop after a day or two. Ok, now for the women out there. You need to make sure you bring all the supplies you might need in case you get your period on the trip. Many women prefer something like a Diva Cup since there is no trash and you have to change it less frequently than tampons. If you’d rather use tampons, pack them in double layered ziplock bags and keep them handy in your personal dry bag at the front of the boat. I also like to bring an empty ziplock inside a small stuff sack for the used ones for when the group trash bags might not be accessible. 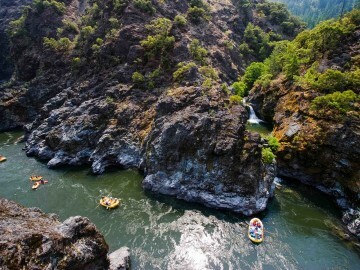 One of the most common concerns for first-time rafters involves going to the bathroom. 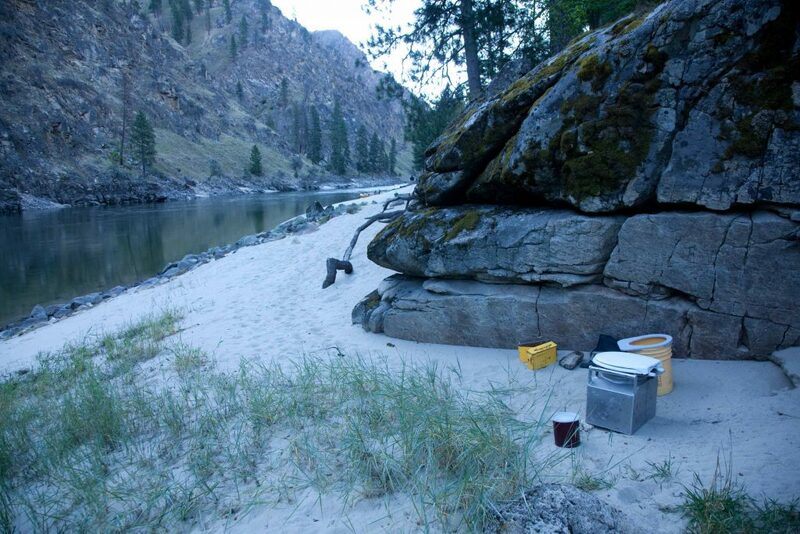 In simple terms, #1 goes in the river, #2 goes in the groover….the official name for the portable camp toilet. While you may be intimidated the first time you groove, it’s not that different than your toilet at home, except you’ll have a way better view. Toilet paper and hand sanitizer should always be stashed in an army can or plastic bag right next to the groover. Plus, a good set-up will include an official hand washing station. You like photography? Bring a camera. Enjoy reading? Pack a book. Fishing enthusiast? Don’t forget your pole. 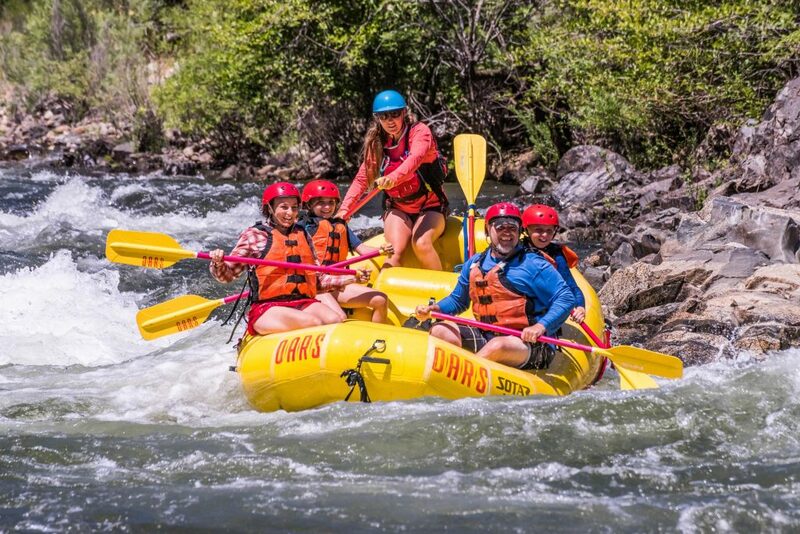 Being on a multi-day rafting trip means a lot of group time, and having something to keep you occupied in the case you need a little alone time is always a plus. 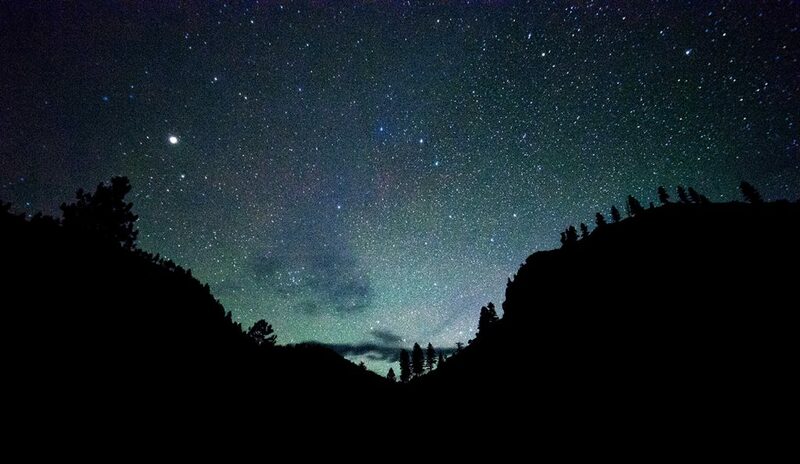 One of my favorite things about rafting is falling asleep on those soft sandy beaches while gazing up at a sky full of shooting stars. If the weather and bugs permit, don’t deny yourself the pleasure of sleeping out of your tent at least one night. And one last piece of advice…be prepared to get hooked on river life. 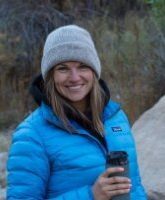 Kristen is the creator of Bearfoot Therapy, the outdoor adventure blog for the everyday explorer.